Comp-Cut– removes clipping diodes, not a clean boost because it can distort the opamp. Flat Mids– a late 1990’s Fulltone invention that feeds signal back on to the clipping diodes removing the Mid-hump. 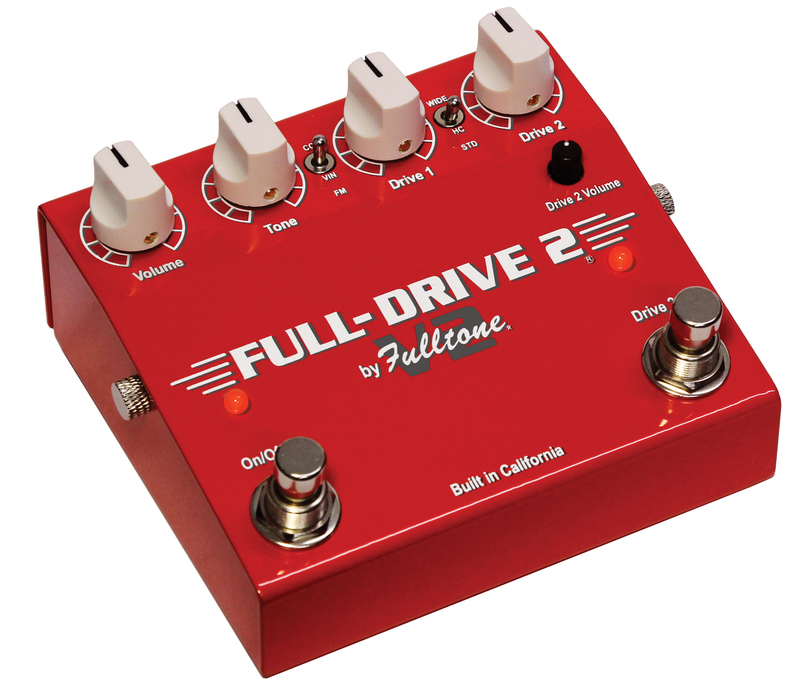 Vintage– traditional 90’s Full-Drive slightly asymmetrical clipping. RIGHT 3-position switch Wide– combines Mosfets & Schottky Diodes for more clarity, less compression, a more D-mble-like sound. Standard – traditional 90’s FD2 slightly asymmetrical. Half-Clipped– another Fulltone exclusive, only clips the top waveform for extreme clarity, feel, and touch like you’ve never experienced!